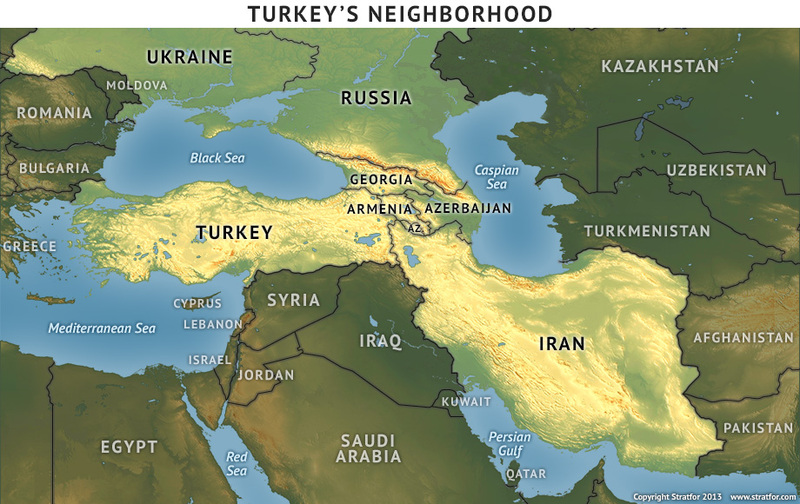 Turkey and her geopolitical context. Turkey’s coup failed. Erdogan and his minions are back in control and, predictably, they are doing so with a vengeance. I would be surprised if Erdogan stopped before he has total and absolute control over the country, the military, the security apparatus, the press and the judiciary and not until he has purged, persecuted, jailed or otherwise neutralised every single opponent, big or small, real or imaginary. a) The Kurds of Turkey: the last iteration of the war between the Turkish state and the Kurdistan Workers Party (PKK) has been raging with ferocity for a year. Erdogan broke the negotiated peace process for domestic political gains (which he attained), but the Kurdish resistance has been putting a determined fight against the Turkish Army, coupled with a spate of terrorist attacks in Ankara and Istanbul. Plus, it is believed that the PKK is receiving material support from Turkey’s opponents, such as Russia and Iran. The use of a third generation MANPADS (Man Portable Air Defence System), probably a Russian/Soviet made SA-18, to shoot down a Turkish AH-1W Super Cobra military helicopter raised some red flags given the accrued threat they represent for aviation. Furthermore, the present prosecutorial environment in Turkey will probably aggravate the repression on the Kurds, which in turn will further radicalise a significant portion of the Kurdish population and swell the ranks of the PKK. The more entangled Turkey gets with the PKK, the less focus and capability she will have to deal with external challenges in Syria, Iraq and elsewhere. b) The Kurds of Syria: the YPG, the military arm of the Syrian Kurdish Party (PYD) is the star of the Syrian War in 2016. Its fighting capabilities and battlefield success caught the attention of both the United States and Russia and the consequent material and training support mostly from the Americans, which regarded the YPG as the last chance of supporting a militarily effective group in Syria. Of course, pumped up with this support, the YPG kept up gaining territory in Northern Syria, mostly from the Islamic State. This was great news for the US, but terrible news for Turkey. In fact, the YPG managed to conquer and hold a substantial sliver of territory next to Turkey, thus buttressing its importance on the Syrian battlefield and its claim to (at least) an autonomous Kurdish region within a future Syria. This is anathema for the Turks who have publicly and repeatedly stated they would not tolerate such a development. However, with the Americans giving the Kurds training, weapons, supplies and air support and the Russians preventing a meaningful Turkish intervention in Syria, there is only so much Ankara can do. The course of events in Syria, starting back in 2011 up to 2016, has been going awry for Turkey. First, the US consistently refused to condone or implement Ankara’s main policies, such as a safe zone in Northern Syria and a no-fly zone, not to mention a full-fledged military intervention. The former would have enabled the Turkish to return many Syrian refugees to their home country and to implant a physical presence in Syrian territory, namely of a military nature and thus better influence events inside Syria. The Turkish-supported rebel groups have always shown limited capabilities, hardly a match for the Syrian Army, the Islamic State, or Jabhat Al Nusra. Consequently, they did not achieve much in terms of advancing Turkey’s interests in Syria. 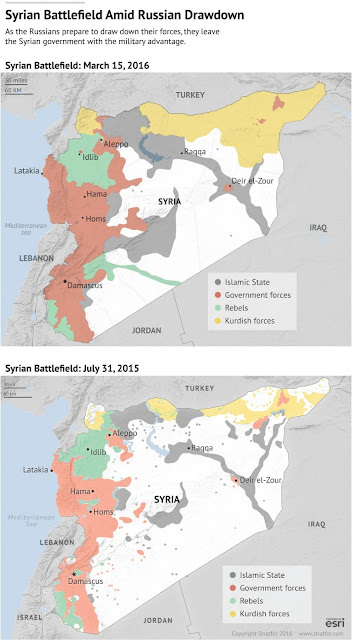 Finally, the Russian intervention bolstered the Assad regime and limited Turkey’s latitude to intervene. Outright Russian hostility following the Su-24 downing basically left Turkey frozen out of any meaningful hands-on approach to the Syrian War. At the moment, despite all the fuss about her importance, Turkey is basically an enabler in the Syrian War by providing a close air base (Incirlik) from which the US, the UK and France launch air strikes into Syria. On the other hand, her influence on the ground has been waning, paling in comparison to that of Russia, the US and Iran. Turkey’s goal from the outset of the conflict in Syria back in 2011 has been to turn Syria into an ally or a satellite state, something that is an increasingly distant prospect. 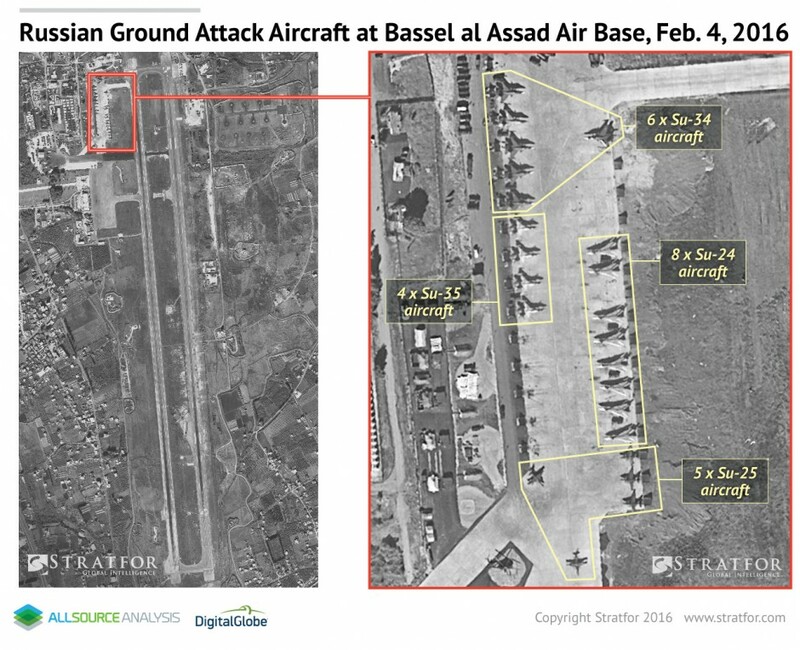 High goals, lots of bravado and tough talk were matched by little resolve (compared to Iran’s commitment to save Assad’s regime), poor involvement on the ground and too much reliance on the hope that others (i.e. the US) would do the heavy lifting, all contributed to the present situation: the Turks no longer seek to achieve gains, rather they are struggling to avoid or even limit their losses. This scathing appraisal sums up the status of Turkey’s Syrian adventure. 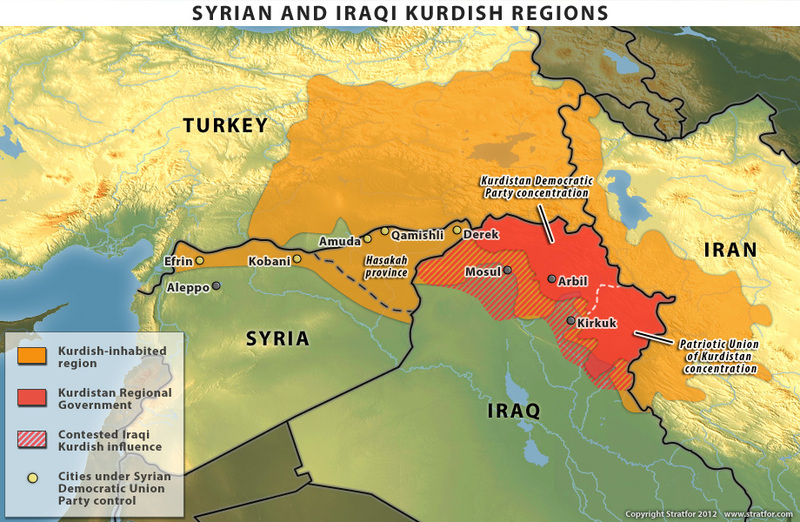 The impact of the Russian intervention can be seen in the notorious growth of the Government’s and the Kurds’ controlled territory in just 6 months. The situation in Iraq is not as vexing for Turkey as that of Syria. On the one hand, Ankara has not invested nearly as much in Iraq. On the other hand, Turkey’s involvement in Iraq is mostly directed to try to solve her own Kurdish problem by co-opting the Iraqi Kurds. This strategy has brought mixed results so far. On the win side, Turkey has had a virtual free pass to intervene militarily in Northern Iraq to pursue PKK fighters and to strike their sanctuaries. Turkey even has some small semi-permanent bases in Iraqi territory. Turkey has enjoyed the Kurdish Regional Government’s (KRG) acquiescence of her activities in exchange for economic support, especially serving as a conduit for the KRG’s illegal oil exports. Given the feuding between the KRG and Baghdad and the collapse of oil prices, Arbil has been cash strapped, not even being able to pay public servants’ and security forces’ salaries on time. This plays into Ankara’s hands since it increases the Kurds’ dependence on Turkey. On the lose side, Turkey runs the risk of having to bear some of the burden of sustaining a quasi-bankrupt ally. 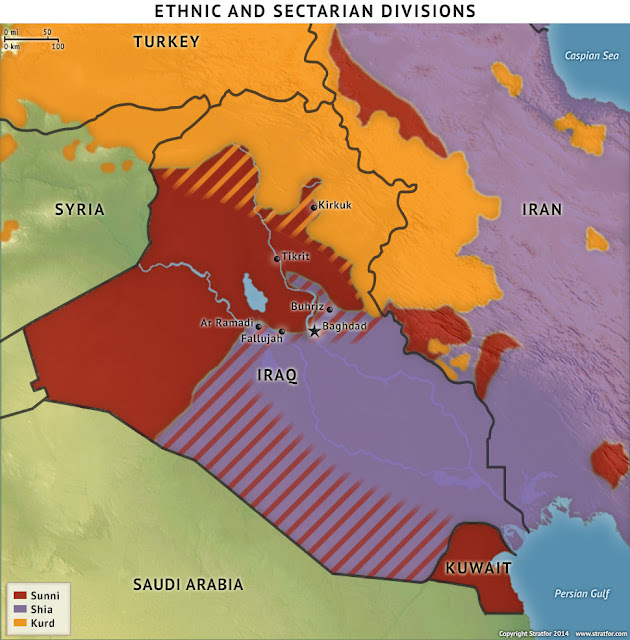 Even more serious is the risk of getting too enmeshed with the booby-trapped world of Kurdish politics and relations, where kinship, geography, clan and personal interests and outside patrons and enemies generate shifting alliances, feuds and betrayals, of which the 1990’s Iraqi Kurds civil war is the ultimate example. Finally, Turkey’s involvement in Iraqi Kurdistan is generating increasing resentment in Baghdad which has probably not evolved into outright hostility yet, due to the conflict that has engulfed Iraq. Iraq: torn by sectarian and ethnic hatred and foreign meddling. With Egypt mostly out of the picture, Saudi Arabia and Iran are Turkey’s rivals in the quest for regional pre-eminence. This is one of the areas in which Turkey’s internal turmoil is more likely to affect her ability to compete abroad. As of this moment, Iran has the upper hand in the Syrian War, wields the greatest influence in Iraq and sponsors Hezbollah, arguably the most powerful political-military organisation in Lebanon. 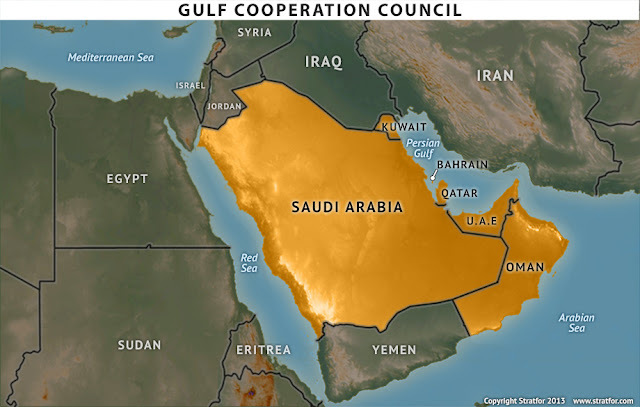 Saudi Arabia is the leading nation of the 6-country Gulf Cooperation Council (GCC), she is an ally and financier of Egypt and Jordan and leads a multinational military intervention in Yemen. Turkey….well, Turkey has no privileged ally, is nobody’s patron (except for the KRG), has no relevant foreign military deployment and has a close political relationship with Qatar. This suffices to demonstrate the décalage in influence and power between Turkey and her rivals. Given the array of internal challenges and threats she has to deal with in the near future, it is highly unlikely that Turkey will be able to improve her disadvantaged situation vis-à-vis Saudi Arabia and Iran. The GCC, Saudi Arabia’s closest allies. The United States and Russia, in this order, are the most influential powers from outside the Middle East. Others, like the United Kingdom and France, regardless of their areas of influence, mostly follow the American lead. In military language and from a Turkish perspective, the US has been the friend and Russia has been the foe. Actually, since the beginning of the Syrian War, the friendship with the US has frayed and Russia, who was not a foe, ended being openly hostile towards Turkey. Although Washington and Ankara eventually managed to strike some arrangements (the availability of the Incirlik air base being the most relevant one), the goals and strategies have always been different and have been diverging. Amongst the points of contention are issues such as a ground intervention, a safe zone, a no-fly zone, the Kurds’ actions and status, the Islamic State and even Assad’s (or Assad’s regime’s) fate. The crisis in Turkey with the purges and the predictable trampling of human rights on a grand scale will likely widen the gulf between the two NATO allies. The past few weeks have shown steps being taken to mend the strained relation between Russia and Turkey, starting with a significant apology sent to Putin by Erdogan. However, even if the hostility subsides, Moscow’s and Ankara’s goals in Syria are so far apart that there is very little room for meaningful cooperation. 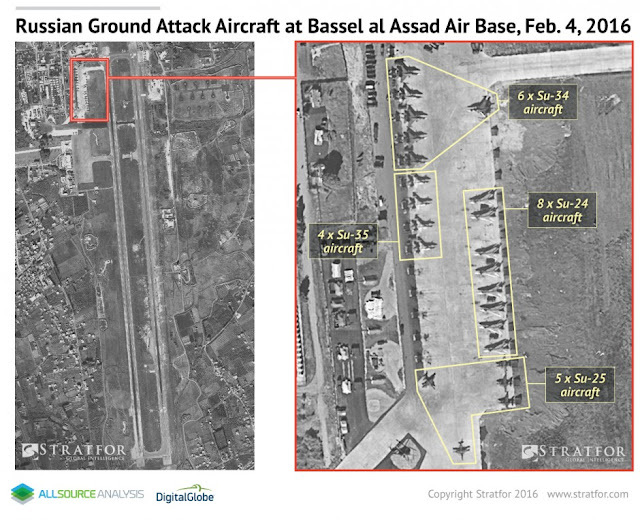 Russian air assets in Latakia, Northwestern Syria. 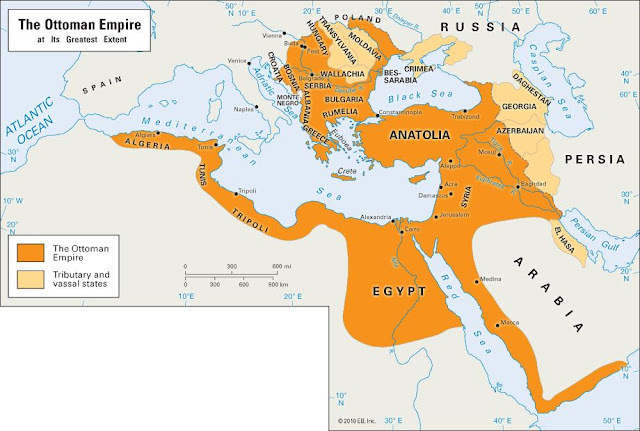 The REAL Ottoman Empire in the 17 Century. Turkey’s geopolitical challenges and difficulties are only compounded by the new reality brought about by the recent coup d’état. Although it failed, the coup is having consequences that will reverberate for a long time and which threaten to further polarise the country. Among them is a leadership focused on rooting out every single shade of eventual dissent, the military torn by fundamental fissions, ripped by dissent, inside mistrust and a purge, which in turn will hamper the armed forces ability to operate effectively and promptly. All these ingredients point to inward-looking political, military and security establishments. If there happens to be a sudden burst of external activity by the Turks, particularly if it is of a military nature, it will more likely be motivated by the need to rally the population around the regime and against some foreign bogey man, than out of a geopolitical imperative or a serious security concern. Gone are the days when the AKP leadership nurtured goals of grandeur, seeking to recreate some sort of neo-Ottoman Turkey, powerful, influential and determinant across the Middle East. The Turkish government may emerge from the coup more powerful internally. Turkey, however, is more cowed, friendless and disoriented than she has been for quite some time. The Ottoman Empire retained a centuries-long hegemony over South Eastern Europe, North Africa and the Middle East. Today’s Turkey struggles to cope with internal challenges and battles external isolation. Turkey’s Ottoman delusion of 2011, morphed into a stark Turkish reality in 2016.